White topaz wows in this Apples of Gold jewelry creation. The bright stone offers a clear shot for a fashion hit with its simply stunning shine. The white topaz measures 6mm and features a round cut which gives it added brilliance. 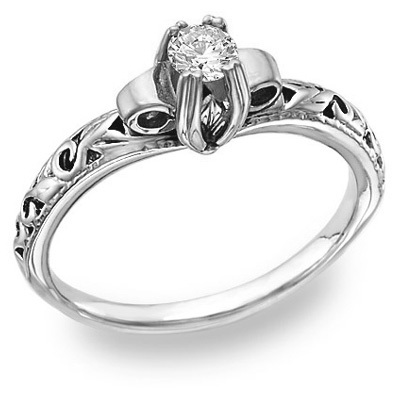 The stone is set high on the art deco-style ring with two coils of silver resting on either side. The band, also of silver, features a vine and leaf design that echoes art deco style in the most beautiful way. We guarantee our White Topaz 1 Carat Art Deco Ring in Sterling Silver to be high quality, authentic jewelry, as described above.